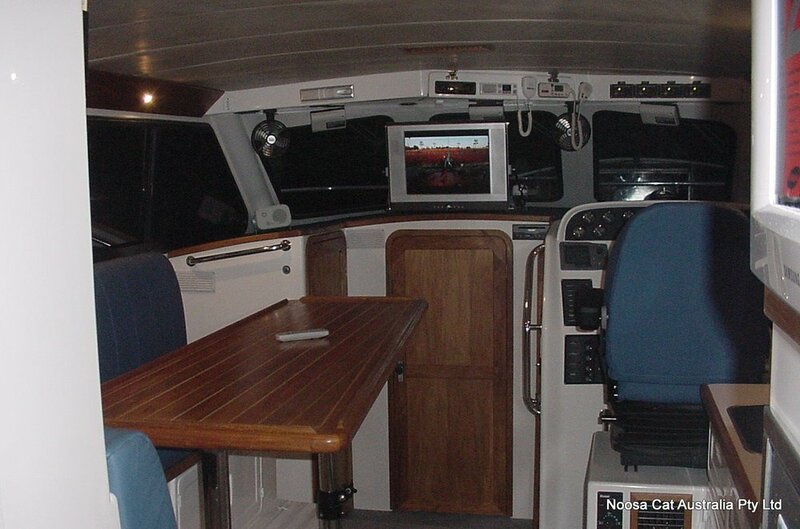 Released in 2005, the awe-inspiring Noosacat 50 footer is available with an enclosed or open flybridge, and a wide variety of internal layouts. Most owners opt to retain the magnificent cockpit, with a covered awning as shown here in these photographs. 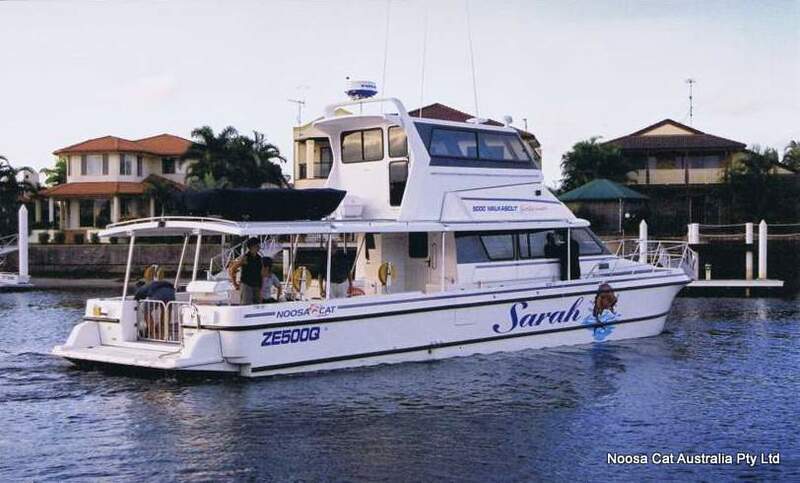 This magnificent vessel lends itself to a wide variety of roles including fishing, dive, corporate and whale watching charter, let alone private use as a luxurious recreational “sportsfisherman”. Currently being built with Volvo D-6s linked to IPS drives, the Noosacat 5000 is also available with conventional shaft drives with various engines, gearboxes and horsepower ratings. Moulded Length 14.00m | 45' 11"
Shipping Length 15.83m | 51' 11"
Hull Draft at Rest 0.75m | 2' 6"